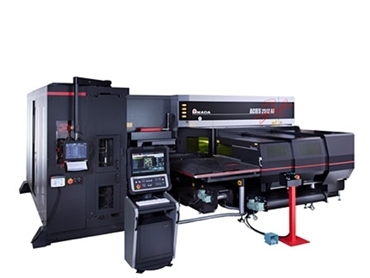 Building on the success of the previous ACIES combination machine, AMADA now presents a 4kW Fibre laser addition to the series. This ACIES combination machine has always provided unrivalled productivity and scratch free processing of complex sheet metal components, with automation and tool change options to suit your production requirements. This top spec machine now comes in a much anticipated 4kW fibre laser version. Packed with new innovations; featuring fast hit rates, stable processing, versatile forming and the shape cutting flexibility of a laser system.